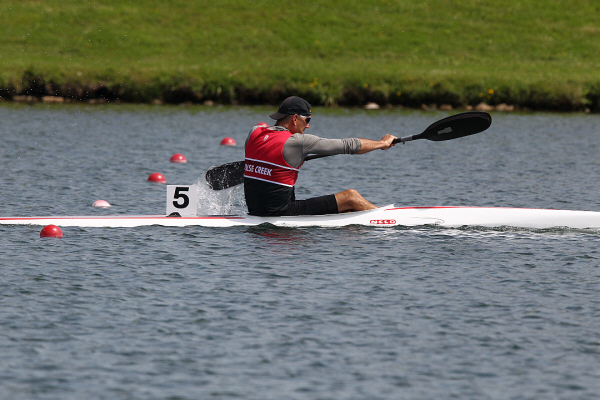 I've just come back from the Canadian Canoe Association National Sprint Championships (CCAs), and the Canadian Masters Championships (CANMAS). In the case of the former, CCAs is a "thing" I've done before—first, as a teen, decades ago, and then again last year for the first time as an adult. In the case of the latter, I have now experienced CANMAS twice, being "of age" to do so. Recap video at bottom, if you want to watch rather than read. Last year, I raved on this blog about taking home a single medal, and what that meant to me. It sparked something in me at the time, and that feeling lasted all year. It was more than enough to keep me motivated for an entire year--a year that was filled with broken ribs, ruined backs, missed regattas, cancelled regattas, disappointing para news (for a future post, OK?) ... the list goes on. I could have said "let's skip it this year." Instead, more sparks. It isn't just medals that make me love this sport. I brought home gold and bronze CCA medals, and one gold and two bronze CANMAS awards this year, results beyond my wildest expectations, but I have taken joy from this years' event from more than just great results. I tried to live the event through the eyes of a few of the people I stayed at nationals, and have trained and raced with this year. Andrew is a 35 year-old kayaker. He and his family moved from Indonesia back in 2000. He's been a dragon boater, and through that sport, has seen many corners of the world. But until the CCAs and CANMAS gave him a reason to do so, in his 17 years in Canada, he'd never been east of the Rockies. So, sprint canoe & kayak has helped open up our nation to him. Andrew is my K2 partner this year. Together, as masters category paddlers racing against 20-year-old Juniors at CCAs, we experienced what it was like to get absolutely obliterated in the standings, yet feel full of pride for pushing hard and having the most solid races that we could. The CCAs were a spectacle beyond Andrew's expectations: having only done local B.C. racing circuit regattas for a few years now, he's never been to a competition that is 1,000 + competitors strong; never seen the sea of canoes and kayaks and the throngs of spectators crowding the finish line to watch The storied John W. Black race, or see the senior K4s blow through a 200 metre, or watch as nine C15 boats gasp for air as they heave across the finish line. During his week, Andrew took all that in for the first time. He also spent much of his time finding old and new national team members and Olympians to talk to, take pictures with, and feel inspiration from their stories and advice. Andrew's enthusiasm for the whole experience was infectious, and reminded me of why I loved coming to CCA's past and present. 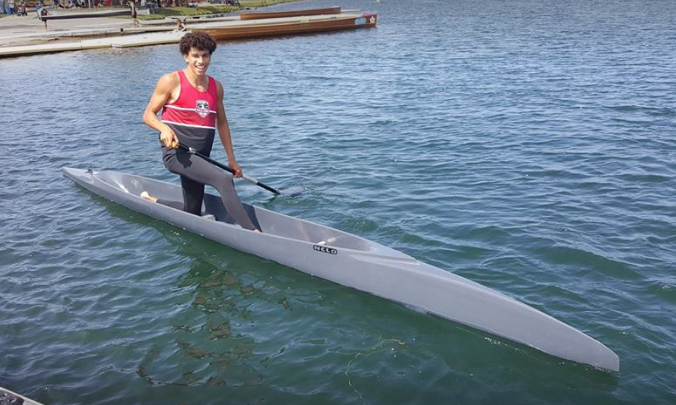 Ydris is a 16-year-old canoer. 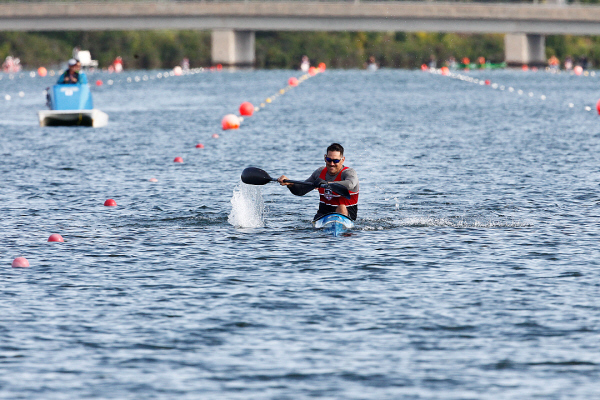 He's new to the sport of flatwater sprint in the last few years. 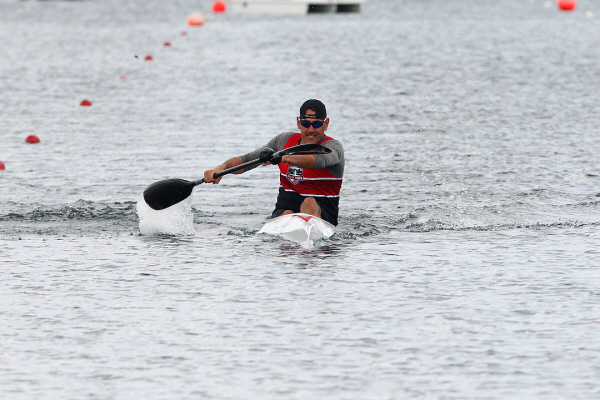 I first met him several years ago on the beach at Whonnock Lake in Maple Ridge on a regatta weekend; one of his first-ever competitions. He stood looking at every single boat on the water and commenting "OH! He's so fast!" Or "Look at how fast she is! "… or even looking at me, just standing there, exclaiming "duuuude you look so faaaast!" This year, Ydris is the fast one. He picked up a medal in one of his races at CCAs this year; in his first-ever outing to a national championship, and made finals in four other races. 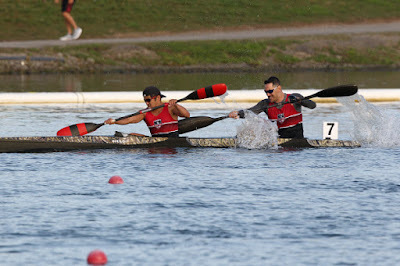 Earlier in the summer, I was training with these kids down on False Creek in Vancouver. We were working on starts and short sprints that day. I remember going home after practice that evening, and telling my wife "Man, we have a canoer who is just blowing me away. 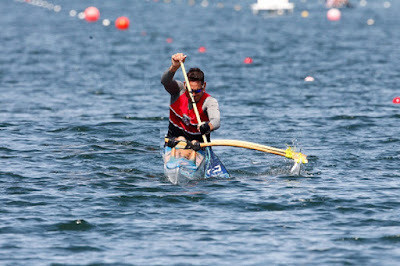 He's taking all of us off the start line; canoes and kayaks alike." The same kid who spent that regatta in Ridge a few years ago marveling at "how fast" everyone seemed to be is now the guy at whom others marvel. 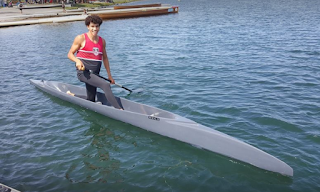 What's more, based on his results at CCAs, he earned a spot on the Canadian 'Olympic Hopes' team travelling later this Fall to the Czech Republic, to test his mettle against some of the world's finest young paddlers. In three years, he's gone from a wide-eyed bean pole to a determined, strong, passionate paddler. This is what canoe kayak can do, and has done, for many. Thanks for the reminders, Ydris, of those days I was a wide-eyed bean pole, marvelling at all the speedy boats. Anna is a 17-year-old Canoer. Since I first met Anna when she was a 14-year-old, she has impressed me. She was engaging from the start. Rather than staring at a cell phone in between races or chatting exclusively with paddlers her age, she approached kids and adults alike. Actually talked to us. Asked questions about who we are and what we do in this world. Actually got to know the people around her. Of all the kids on our team, she probably knows more about others than others do about her. She maintains a subdued energy, but a determination within it. She identifies as an introvert and is clearly not into crowd scenes, but one-on-one, you will find a charming, intelligent friend in Anna. Last year was her first year at CCAs. She took her quiet, focused energy to the start line and boasted an impressive 7th place finish in her 6000 metre C1 race—she came back to CCAs this year to better that position by pulling in 6th place. This is no mean feat when you consider the hundreds of kids across the country who wanted to qualify for this race, and the 30 kids actually fast enough to be able to mass together on the start line at CCAs. To say that you are 6th in Canada in a 6000 metre event is nothing short of amazing. To boot, she made two other finals in her singles races--she is a force! Anna isn't sure where she will be in a year; she's entering grade 12, and as a high school senior, she has some decisions to make in the coming year about where she wants to do post-secondary, and how much paddling can or will play into that plan. The future aside, here's what I know: Anna is a young woman who paves—and pays—her own way. You don't do that if you don't feel like this sport isn't in some way a part of you—it is expensive at times, and most definitely time consuming. I feel like I was in similar shoes when I was a teen (minus the introversion and quiet!). Whatever choices I made then, I'm here, 27 years after I first picked up a paddle, still seeking that connection with water, with a boat, and with other people who want the same. Thanks, Anna, for reminding me a little bit that where there's a will, there's a way. The only real common thread between these three brief profiles: these people, "young" and "old", are all teammates of mine. Some people look at me funny when I tell them that most of my teammates are half my age, or younger. Whether you're a 16-year-old Ydris, a 35-year-old Andrew, a 17-year-old Anna or a 37-year-old partial amputee... there's an annual event (if you qualify!) where a thousand of us get together and remind one another that, no matter our core motivation, our age, our gender, sexual orientation, race or religion (and the list goes on), that this is an awesome sport full of amazing people, and it's worth hanging on to, for reasons that go far, far beyond those little pieces of metal. 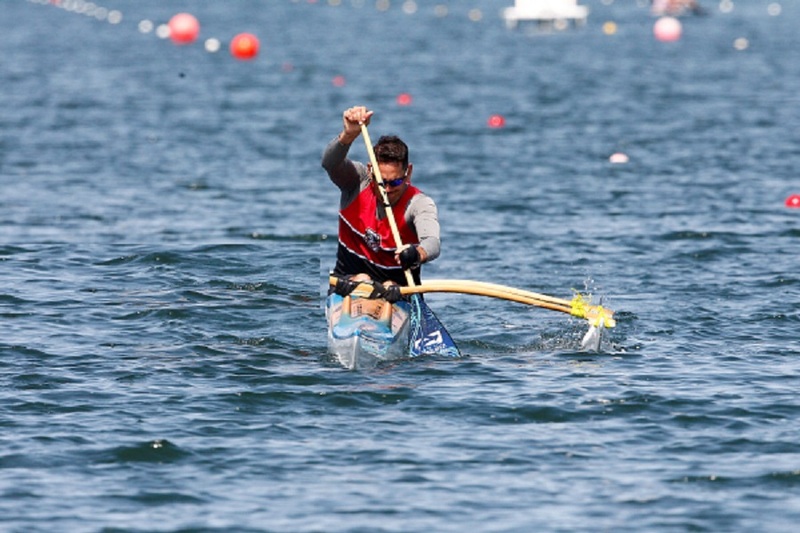 The CanoeKayak Canada motto is Per aqua ad fraternitatem (through the waters to friendship). How absolutely true it has been for me. I said in my post-CCA blog last year that sprint canoe/kayak has always been one of my churches. This remains, in the denouement of another championships come and gone, as true today as ever, and I'll continue to pray at the pew of the paddle that, as I age, even if I don't have the chance to go to something like the CCA's every year (which, as life dictates, I most certainly will not), that I will continue to keep my eyes open to the new possibilities of motivation, like those that I found this year through the experiences of my teammates, young and old. Thanks, friends (those named here, and many others), for your inspirations. or the thumb below, for a recap video! more photos below!